With these popular flock fiber heat transfers which include peel-off letters and numbers, stock designs and custom orders you can make sports related shirts, jerseys and so much more! The high density fibers give flock a textured feel (velvety touch) perfect for lettering, numbers and logos onto sports and leisurewear. These flock transfers will not wash out. They are long-lasting and extremely durable. 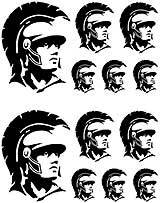 These flock transfers can be heat applied with an iron or a heat transfer machine! See how easy it is to apply these flock transfers! Sayings#3 - Black (6) 10"x12" sheets per pack. 2 sets of images on a sheet. Sayings#4 - Black (6) 10"x12" sheets per pack. Sayings#5 - Black (6) 10"x12" sheets per pack. Sayings#6 - Black (6) 10"x12" sheets per pack. Sayings#7 - Black (6) 10"x12" sheets per pack. Sayings#8 - Black (6) 10"x12" sheets per pack. 1 image on a sheet. Sayings#9 - Black (6) 10"x12" sheets per pack. Sayings#10 - Black (6) 10"x12" sheets per pack. Sayings#11 - Black (6) 10"x12" sheets per pack. Sayings#12 - Black (6) 10"x12" sheets per pack. Sayings#13 - Black (6) 10"x12" sheets per pack. Sayings#15 - Black (6) 10"x12" sheets per pack. Sayings#16 - Black (6) 10"x12" sheets per pack. 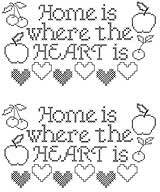 Sayings#17 (6) 10"x12" sheets per pack. 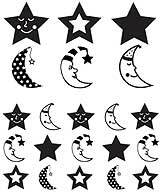 1 set of images on a sheet. 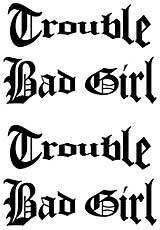 Sayings#19 (6) 10"x12" sheets per pack. Sayings#20 (6) 10"x12" sheets per pack. Sayings#21 (6) 10"x12" sheets per pack. Sayings#22 (6) 10"x12" sheets per pack. Sayings#23 (6) 10"x12" sheets per pack. 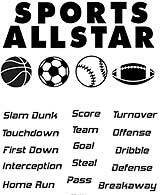 Sports#1 (6) 10"x12" sheets per pack. 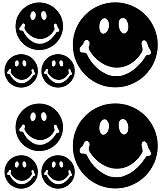 Smiley#1 (6) 10"x12" sheets per pack. 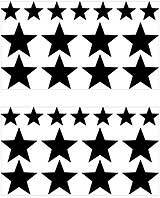 Stars#1 (6) 10"x12" sheets per pack. 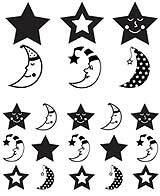 Moons#1 - (6) 10"x12" sheets per pack. 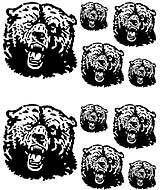 Mascot Bear - (6) 10"x12" sheets per pack. 2 sets of images a sheet. 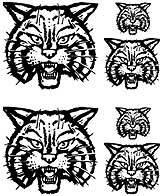 Mascot Cat Head - (6) 10"x12" sheets per pack. 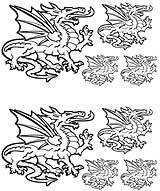 Mascot Dragon - (6) 10"x12" sheets per pack. 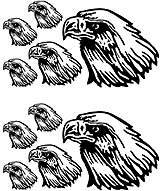 Mascot Eagle - (6) 10"x12" sheets per pack. 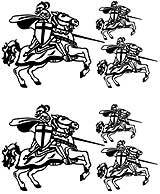 Mascot Knight - (6) 10"x12" sheets per pack. 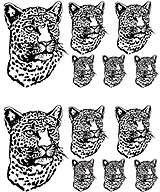 Mascot Leopard - (6) 10"x12" sheets per pack. 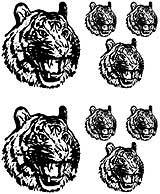 Mascot Lion Head - (6) 10"x12" sheets per pack. 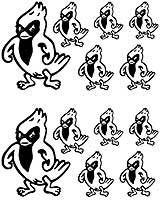 Mascot Cardinal - (6) 10"x12" sheets per pack. 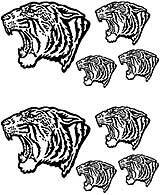 Mascot Tiger Head - (6) 10"x12" sheets per pack. 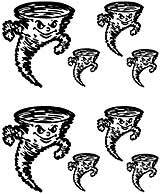 Mascot Tornado - (6) 10"x12" sheets per pack. Mascot Viking - (6) 10"x12" sheets per pack. 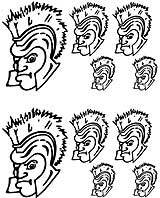 Mascot Warrior#1 - (6) 10"x12" sheets per pack. Mascot Warrior#2- (6) 10"x12" sheets per pack. 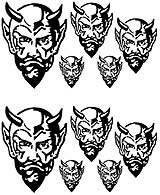 Mascot Devil - (6) 10"x12" sheets per pack.